Pop the popcorn, carefully remove any un-popped kernels. Put into two large bowls. 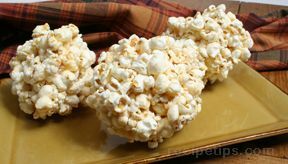 In large microwave bowl, melt down the margarine and soften the marshmallows; stir to blend. Add a small amount of red food coloring to get nice pink color. Pour half over first bowl of popcorn; with large spoon spread over popcorn. Pour other half over second bowl of popcorn, use large spoon to spread over popcorn. When cool enough to handle, moisten your hands with Pam, butter or little water. 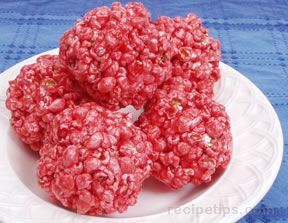 Form lightly into popcorn balls. 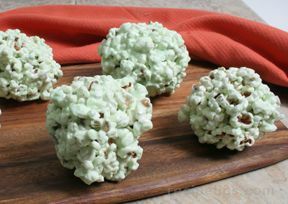 When they are completely cool and set up, wrap each popcorn ball in Saran Wrap until ready to eat.